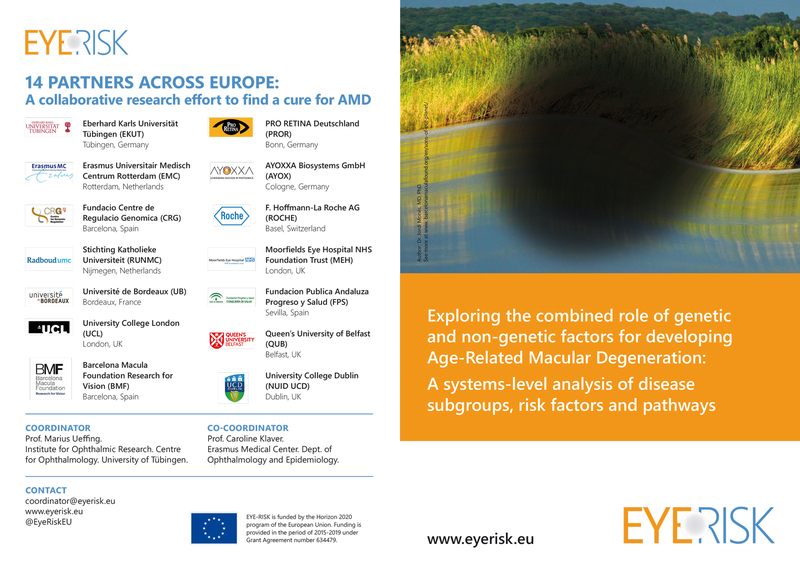 This proposal will exploit existing longitudinal cohort studies from the European Eye Epidemiology Consortium (E3) and from clinic-based bio-banks, to validate currently known genetic and non-genetic risk factors for age-related macular degeneration (AMD). 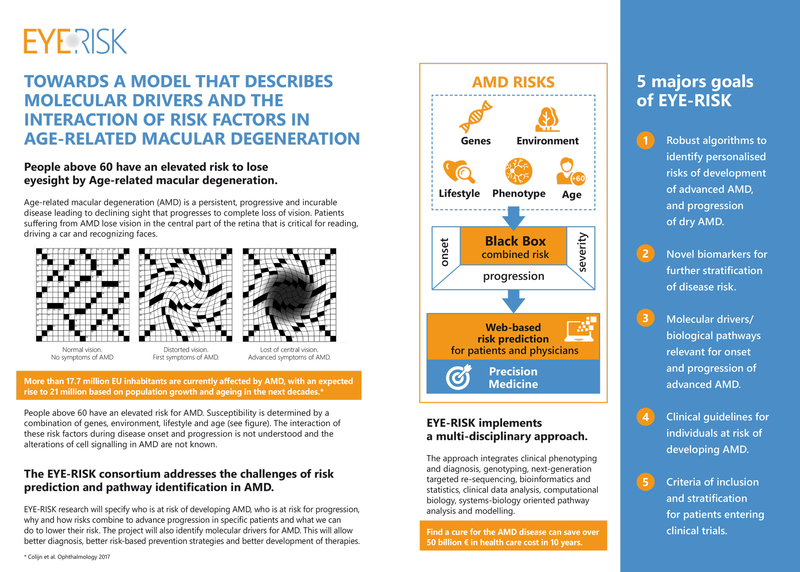 It will also investigate their interaction, test and interpret their pathophysiological consequences at the molecular level, and establish individualized risk profiles according to the different subgroups of AMD patients. Monés, J., & Biarnés, M. (2017). Geographic atrophy phenotype identification by cluster analysis. British Journal of Ophthalmology, bjophthalmol-2017. van Leeuwen E, Emri E, Merle B, Colijn JM, Kersten E, Cougnard-Gregoire A, Dammeier S, Meester-Smoor M, Pool FM , de Jong E, Delcourt C, Rodrigez-Bocanegra E, Biarnés M, Luthert P, Ueffing M, Klaver C, Nogoceke E, den Hollander A, Lengyel I. (2018). A new perspective on lipid research in age-related macular degeneration. 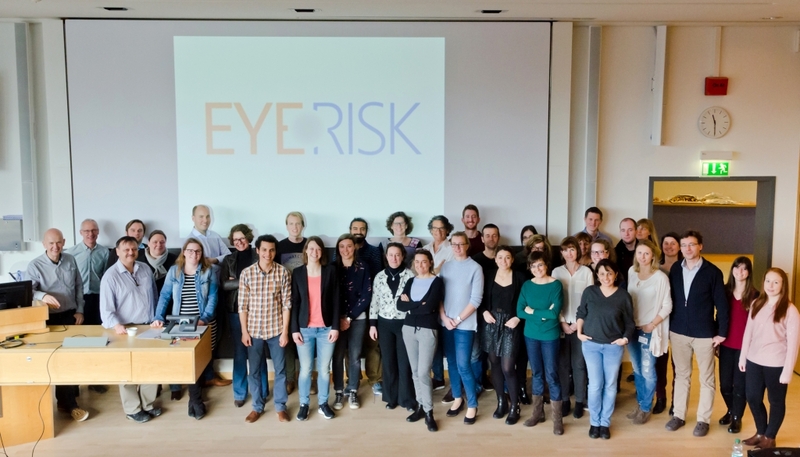 Progress in Retinal and Eye Research. For more information you can access to the project in ResearchGate.